Ukrainians commemorate the Day of the Heroes of the Heavenly Hundred. 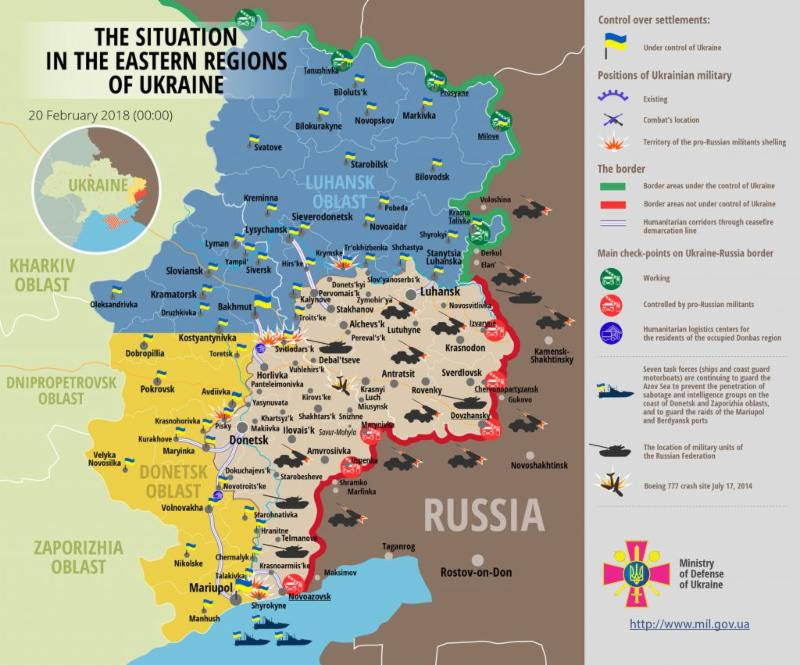 The General Staff of Ukraine’s Armed Forces reported at 12:30 PM Kyiv time that in the last 24 hours, one Ukrainian soldier was killed and four Ukrainian soldiers were wounded in action. In the last 24 hours, Russian-terrorist forces opened fire on Ukrainian positions on the Donetsk and Luhansk sectors of the front 12 times in total, including at least 6 times with heavy weapons. 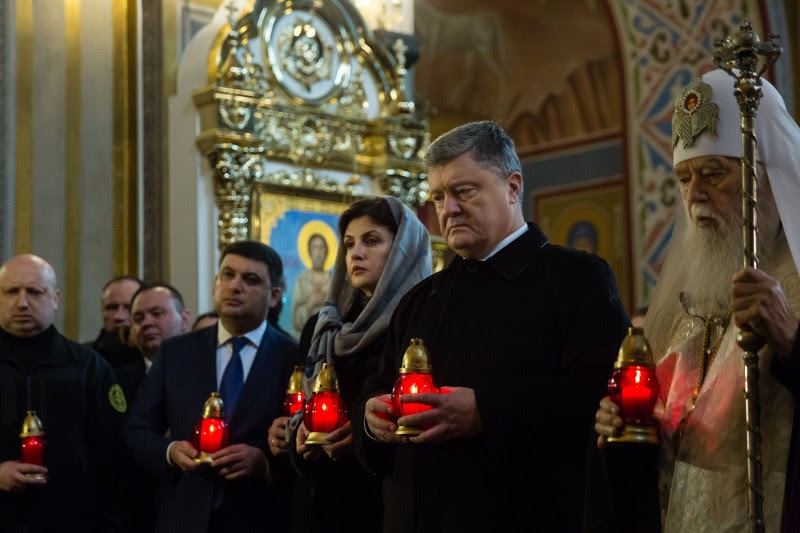 Ukraine’s Presidential Administration reported, “President Petro Poroshenko and his wife Maryna Poroshenko took part in the prayer for the fallen participants of the Revolution of Dignity. The prayer in St. Michael’s Cathedral was conducted by His Holiness, Patriarch of Kyiv and All Rus’-Ukraine Filaret. The Patriarch noted that the prayer is for the best Ukrainians who gave life for the freedom of Ukraine. ‘As long as Ukraine has such brave sons and daughters, Ukraine is invincible. The enemy should know that as well,’ Filaret said. According to him, the duty of all Ukrainians is to remember the feat of the Heavenly Hundred Heroes, pray for them and remember that life doesn’t stop with death. ‘Death is not a defeat. Death is often a victory, as in this case,’ he stressed. Upon completion of the memorial service, Petro and Maryna Poroshenko set icon lamps to the photos of the Heroes of the Heavenly Hundred. 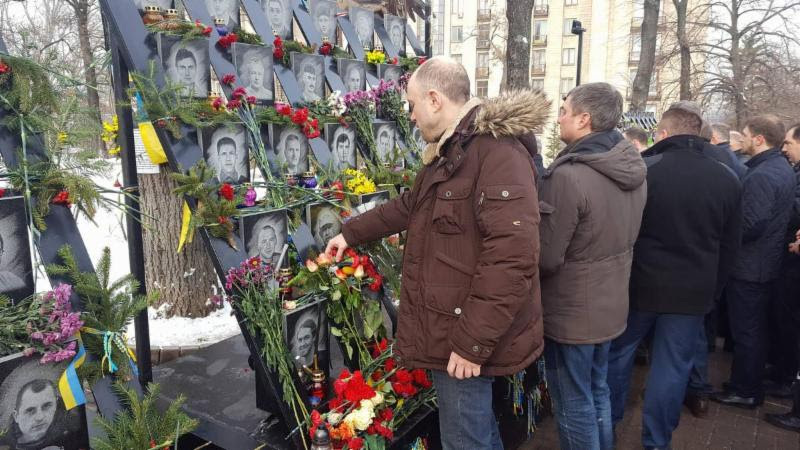 The US State Department stated, “Four years ago, Ukrainians from all walks of life and all regions of the country came together on the Maydan, Kyiv’s central square, to demand their government recognize the choice of the citizens of Ukraine to join Europe. Scores of Ukrainians-the ‘Heavenly Hundred’ -gave their lives on the Maydan for the dream of a better Ukraine. The United States will continue to stand by Ukraine as it faces ongoing Russian aggression, which has claimed over 10,000 lives and displaced more than 1.6 million Ukrainians. The two sides discussed the situation in the Donbas and expressed their concern over the ongoing attempts of Russia and its supporters to undermine the peace process. They also discussed the need to deploy a United Nations peacekeeping mission in the Donbas in accordance with the UN principles and the goals of the Minsk process. The Head of State expressed appreciation for Washington’s important decisions on strengthening the capabilities of the Armed Forces of Ukraine and Ukraine’s defense capability. Washington’s latest decisions are a signal against any intentional escalation of the situation in the Donbas, which, due to Ukraine’s new defensive capabilities, will increase the price of such an aggression. 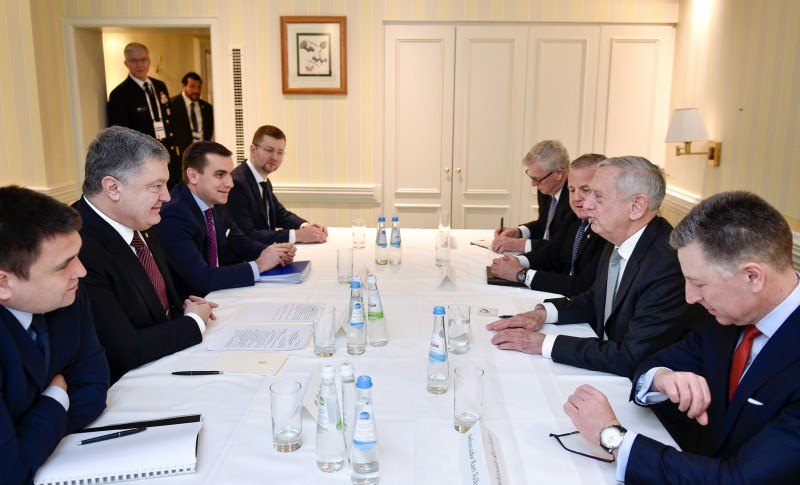 Jim Mattis reaffirmed commitment of the United States to restore Ukraine’s sovereignty and territorial integrity, and noted a significant progress made by Ukraine in reforming the security and defense field.